DUBAI – India off-spinner Ravichandran Ashwin was named the International Cricket Council (ICC) Cricketer of the Year on Thursday for taking 48 wickets and scoring 336 runs in eight tests during the voting period. The 30-year-old Ashwin, the world’s top-ranked test bowler, became the third Indian to win the Sir Garfield Sobers Trophy while also scooping the ICC Test Cricketer of the Year award for the period from Sept. 14, 2015 to Sept. 20, 2016. 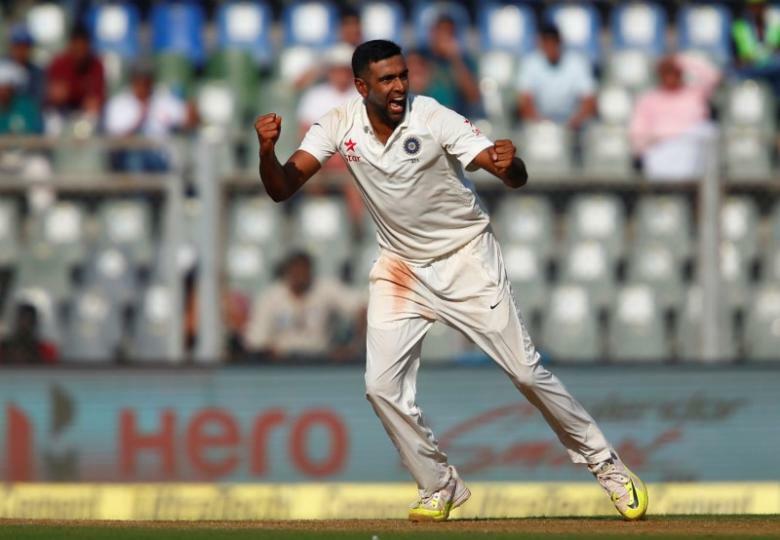 “It’s an absolute pleasure to be awarded with this great honour,” said Ashwin, who won the man of the series awards in each of India’s last four test series before the five-match rubber against England. South Africa wicketkeeper-batsman Quinton de Kock was named ODI (one-day international) Player of the Year, while West Indies’ Twenty20 captain Carlos Brathwaite won the T20 Performance of the Year award. Brathwaite was honoured for belting four consecutive sixes in the final over off England’s Ben Stokes to lead West Indies to victory in the World T20 final earlier this year. Bangladesh medium pacer Mustafizur Rahman was adjudged Emerging Cricketer of the Year, while Afghanistan wicketkeeper-batsman Mohammad Shahzad was named the Associate and Affiliate Cricketer of the Year. Four England players made the ICC test team of the year, captained by Alastair Cook, with their recent drawn series in Bangladesh and 4-0 loss in India falling outside the voting period. India test captain Virat Kohli was named as captain of the ODI Team of the Year.